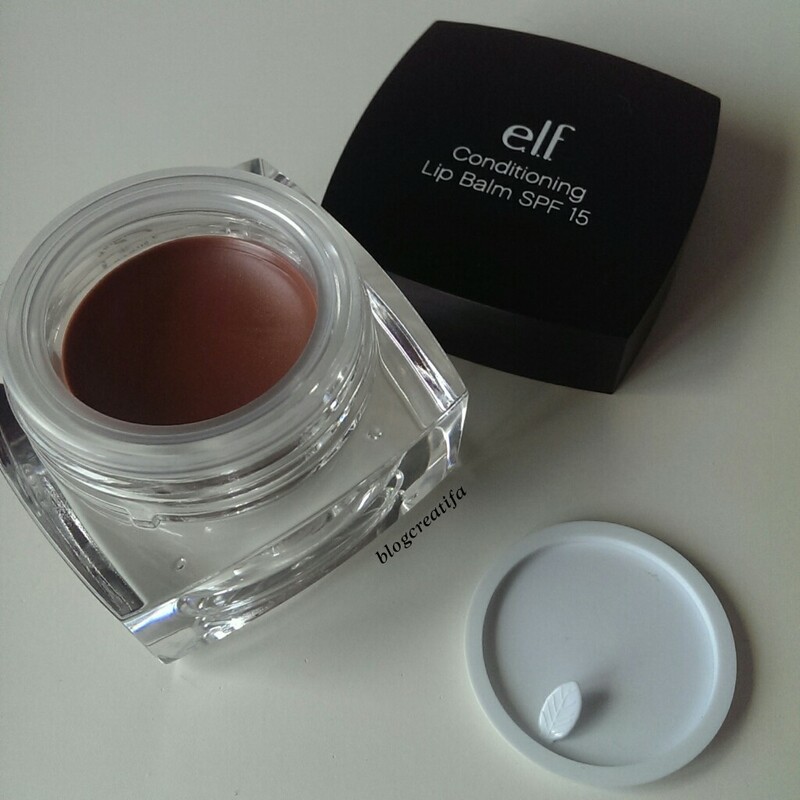 I’ve, slowly but surely, been working my way through all the products from my ELF hauls. E.L.F. (Eyes Lips Face) is a cosmetic company which started in the US in 2004, with the “mission to provide customers with quality cosmetics at low prices”. As before, I wanted to use the products properly before I reviewed them for you, and due to the sheer volume, it’s taken a while. I’ve split all the products up into three categories – eyes, lips and face (I wonder where I got the inspiration for that!). You can find Part 1 (EYES) here, and today I bring you Part 2 – A review of all the lip products I got. “Customize the look of the moment. Place the custom pan in the custom compact and create your look instantly”, however, the custom compacts were sold out on the UK website. They are the same size as the Custom Eyes Eyeshadow pans, so fit perfectly into MAC palettes, and also have magnets at the bottom of each pan, making them perfect for magnetic based palettes, such as the Z Palette. Each pan has 0.035oz/1g of product, and retails at $1/£1.50. 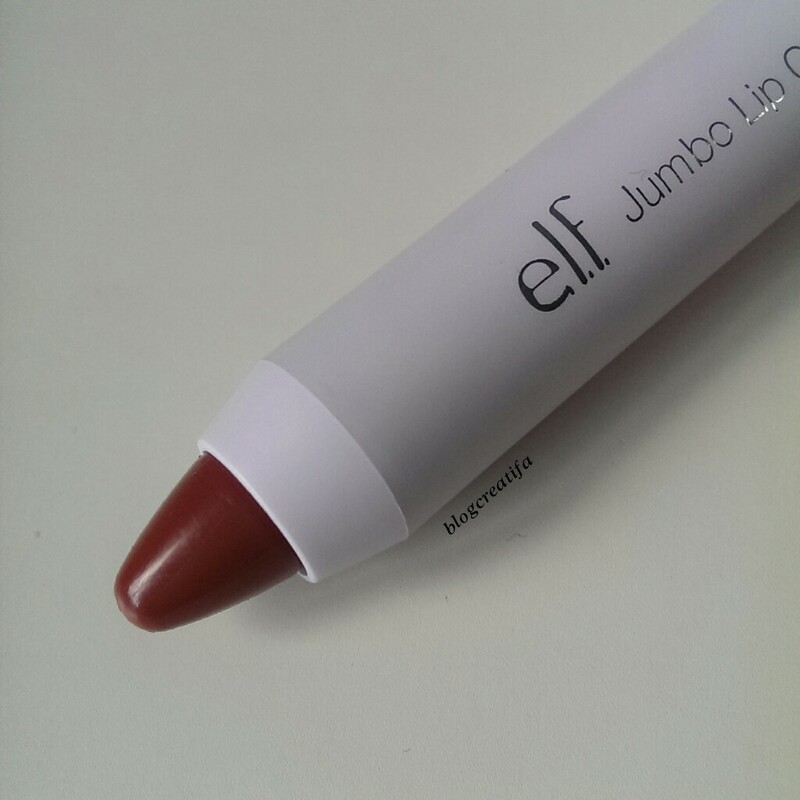 I got mine reduced, at £0.50, in the shade Berry Brown (2603). 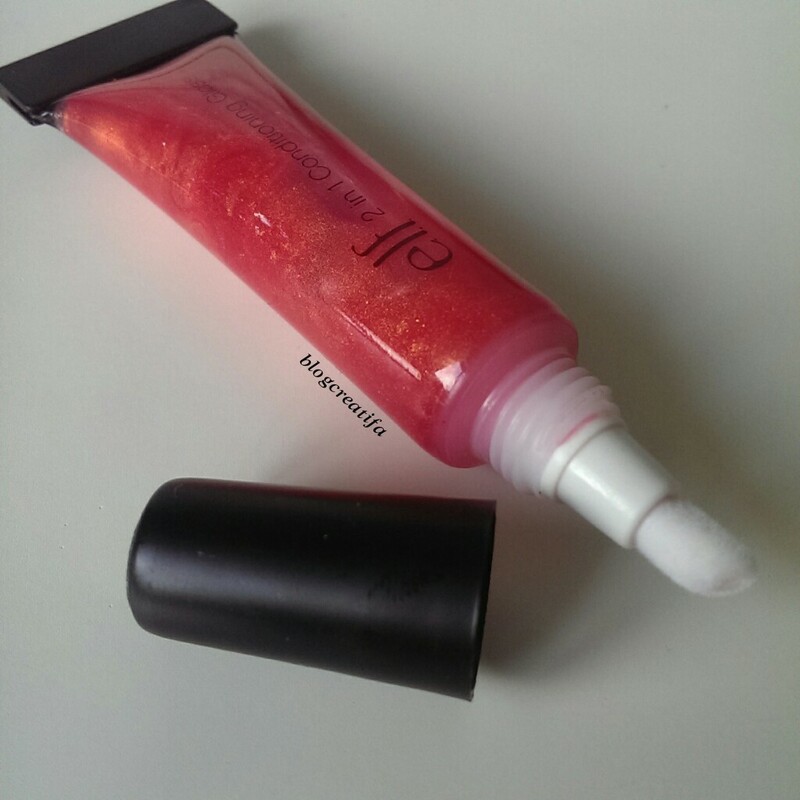 This “soft sheen formula can create the appearance of delicate or voluptuous lips”. It is a moisturising formula, which feels like something in between a lip balm and a lip gloss, without the stickiness. Custom Lips Berry Brown 2603 – One swipe. As you can see, it is very sheer, and one swipe just shows up with a bit of sheen and colour. However, this can be built up to the desired intensity. 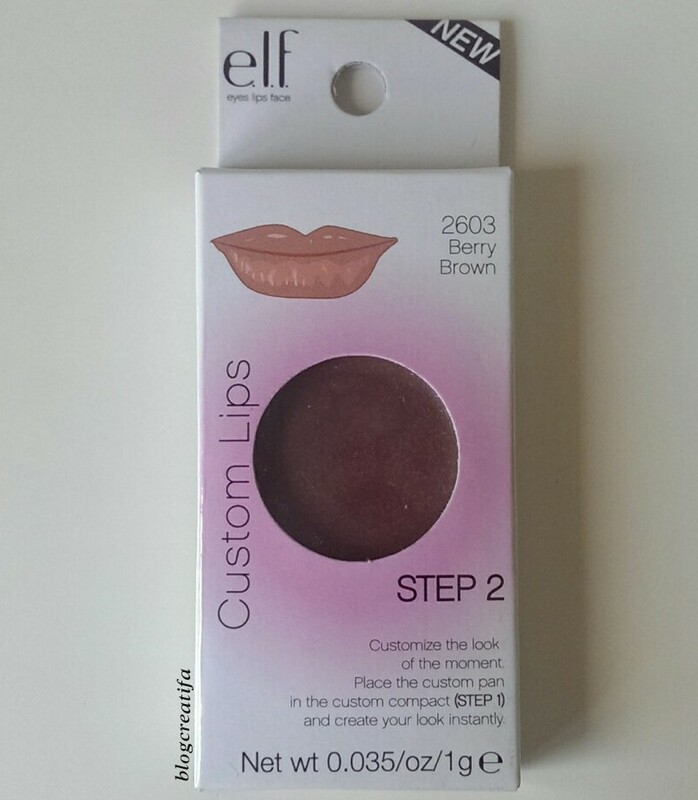 Custom Lips Berry Brown 2603 – A few swipes to intensify colour. I like cream sheen formulas, so I like this a lot. It’s not drying on my lips, and has a lovely shimmer, without any chunks of glitter. 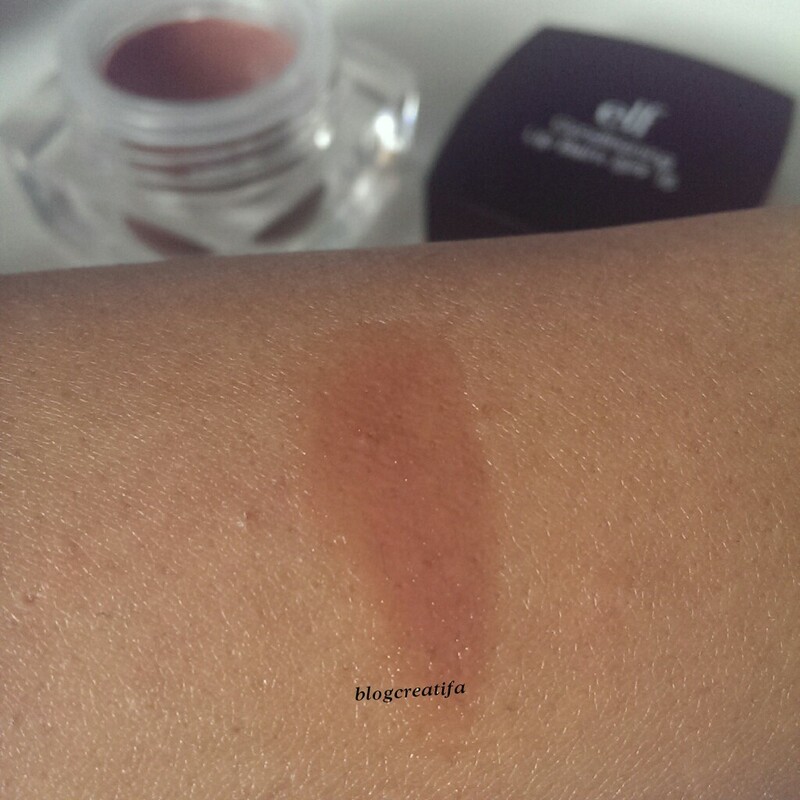 It is a beautiful shade of brown, with dark red/berry undertones. It is not extremely long-lasting but I didn’t really expect it to be. I would definitely recommend these, perfect for building your own custom lip palette. This is part of the E.L.F. Natural Mineral Makeup range. “100% Natural Minerals. No Parabens. No Preservatives. No Chemical Dyes…. 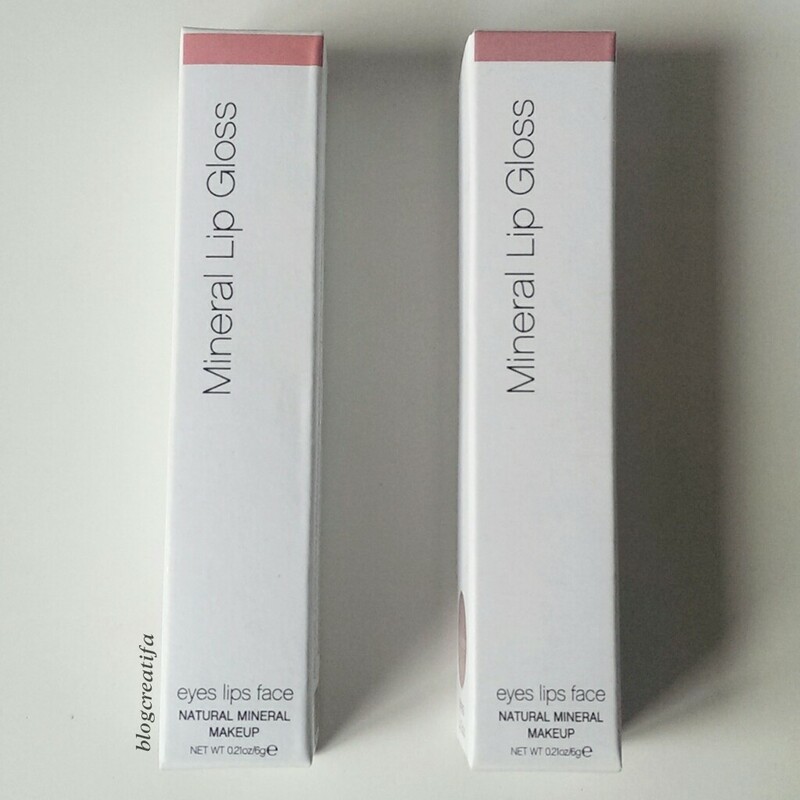 The soft and silky mineral formulas glides onto lips without feeling sticky or tacky. Infused with key Vitamins A & E to protect and moisturize your lips.” I like the sound of that! There is 0.21oz/6g of product included, and they retail at $3/£4. I got the shades Sorority Girl and Trendsetter, reduced to £0.80 each. 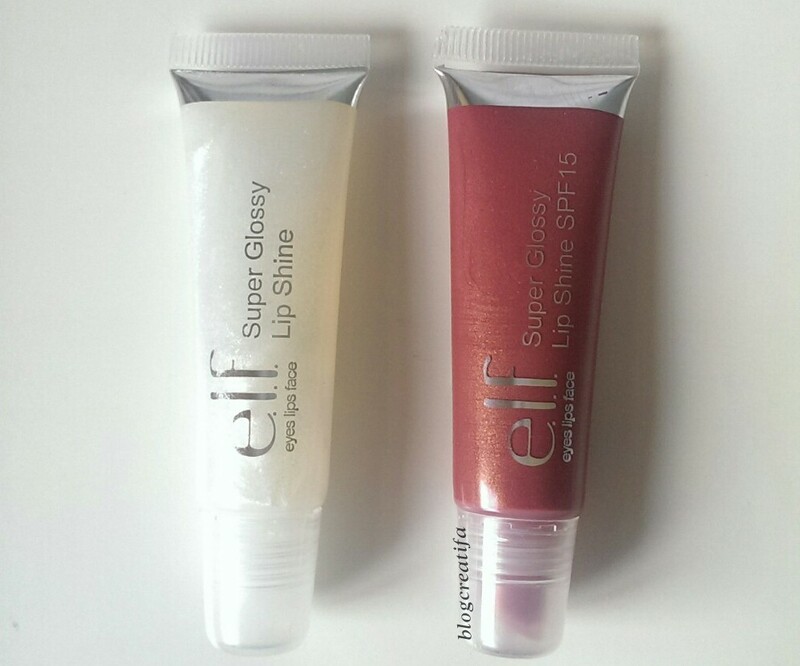 Mineral Lip Gloss – Left: Sorority Girl, and Right: Trendsetter. Sorority Girl is a pinky-mauve gloss. It has a beautiful shimmer to it, without any glitter chunks. 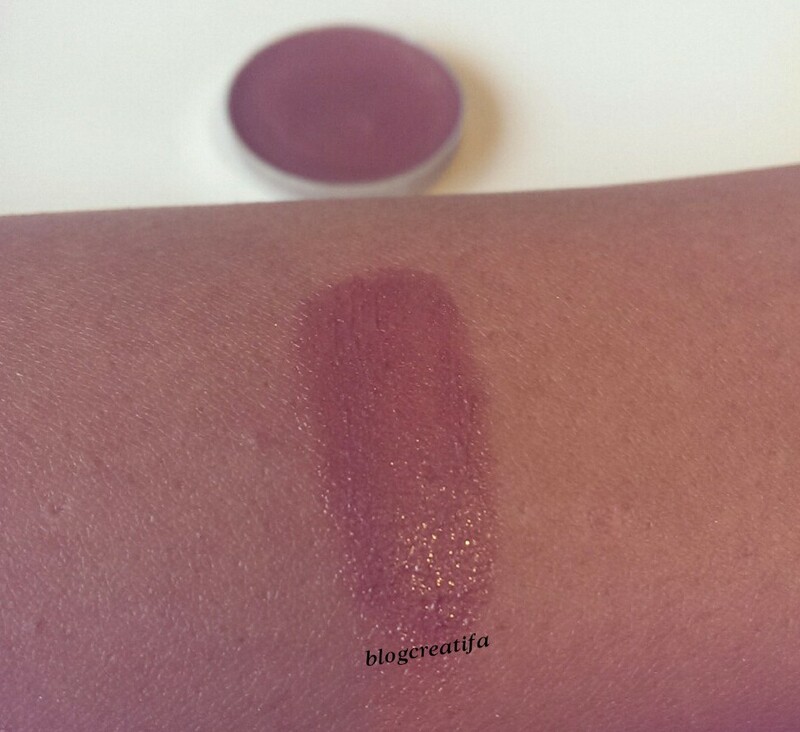 Trendsetter is slightly darker, with brown/gold undertones. 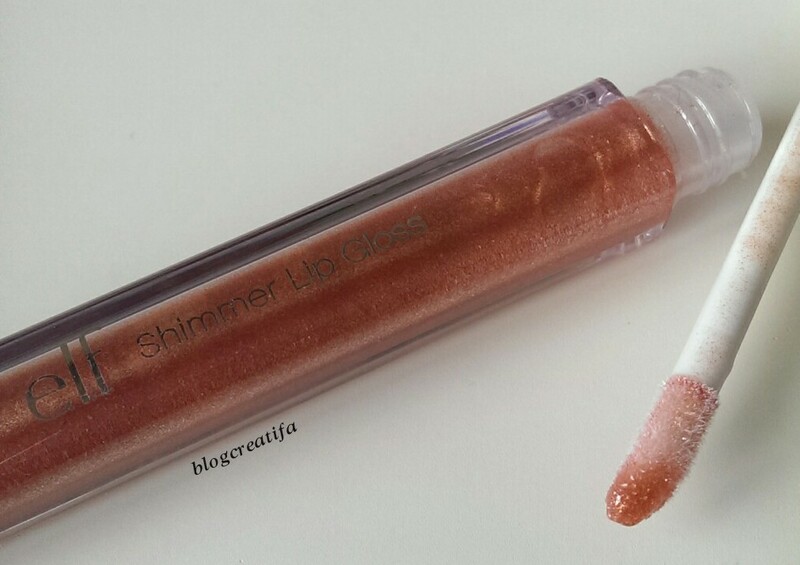 There are visible glitter particles, which give this gloss a frost finish. Mineral Lip Gloss, one swipe – Left: Sorority Girl, and Right: Trendsetter. Mineral Lip Gloss, blended – Left: Sorority Girl and Right: Trendsetter. These come with doe-foot aplicators, which I find handy for applying lip glosses, in travel-friendly, lightweight, plastic bottles. 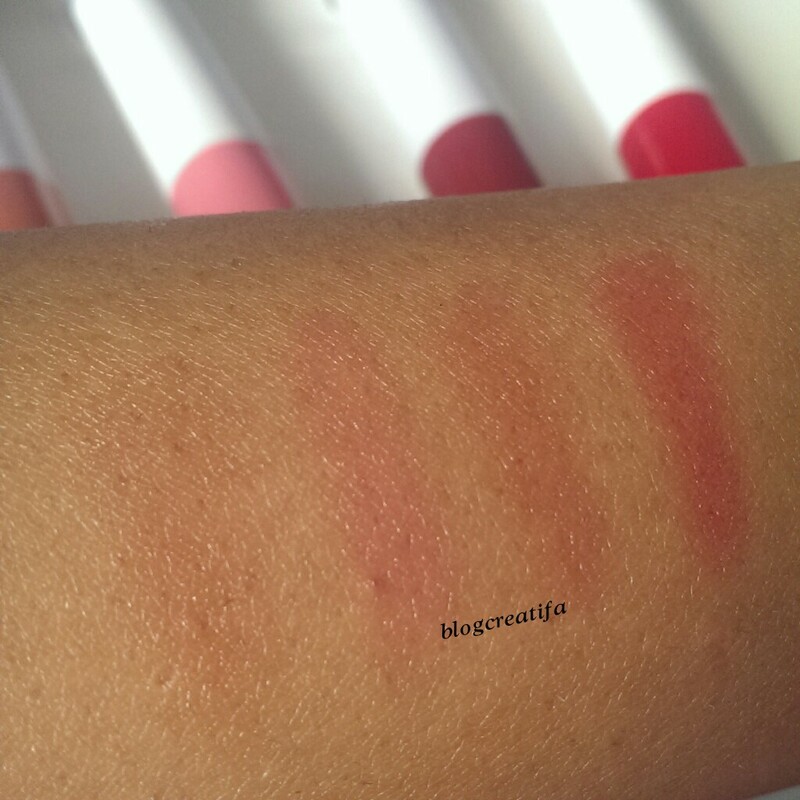 As you can see from the swatches above, the colours are very subtle, and look almost the same when applied, although they may show up more on less pigmented lips. They are extremely moisturising and long-lasting, and didn’t need touching up after I ate and drank. They can be worn alone for a natural look, or over a lipstick to add a bit of shine. I found them to be a bit sticky but I’m quite fussy when it comes to lip glosses. I will continue to use these because of the natural ingredients. 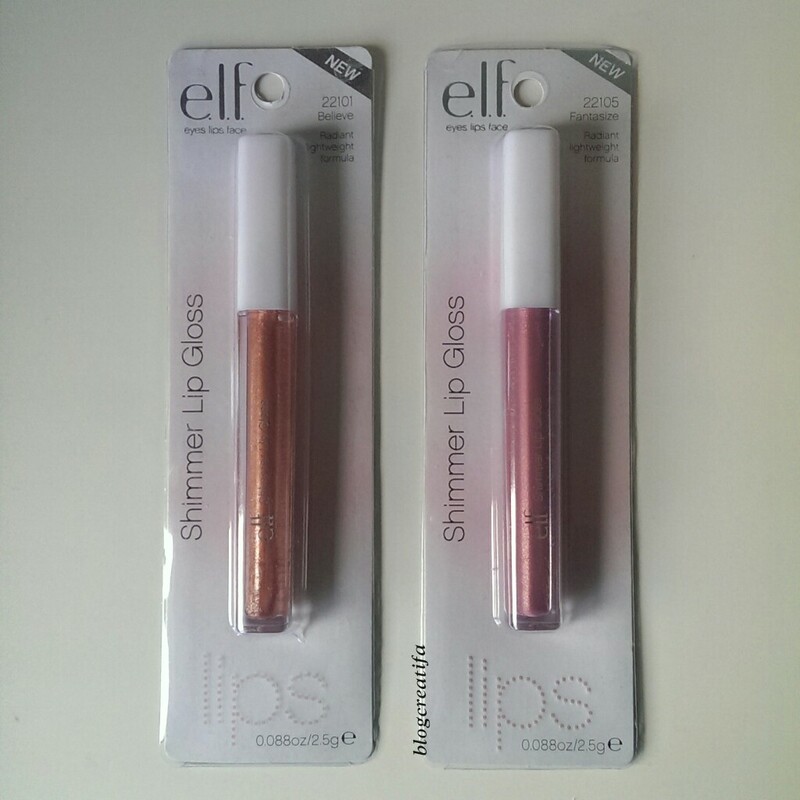 “This high shine lip gloss is infused with dazzling shimmer that gives the perfect amount of sparkle for instant dimension on lips… The non-sticky, lightweight formula is rich and soothing for comfortable wear.” There is 0.088oz/2.5g of product in each tube, and they retail at $2/£1.50 each. I got mine discounted at £0.50 each in the shades Believe (22101) and Fantasize (22105). 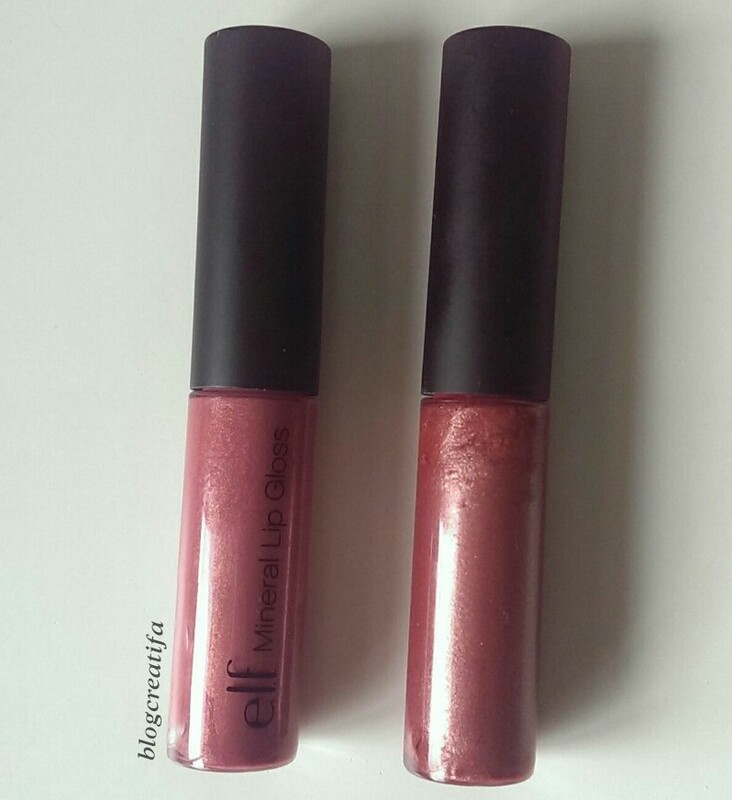 Shimmer Lip Gloss – Left: Believe, and Right: Fantasize. Believe is a copper orange colour with chunks of glitter in it. Fantasize is a really nice pinky-mauve colour, with a gold shimmer to it. 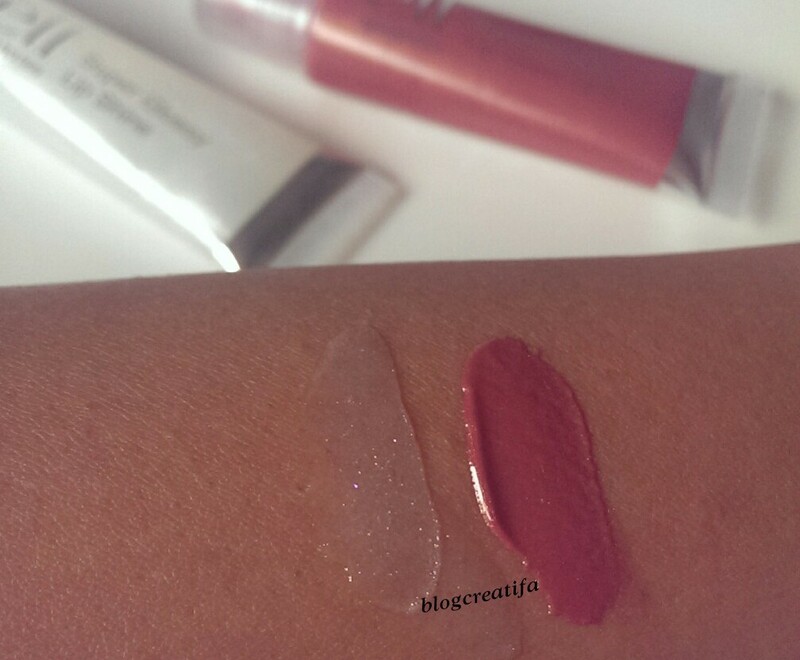 Shimmer Lip Gloss, swiped on – Left: Believe, and Right: Fantasize. 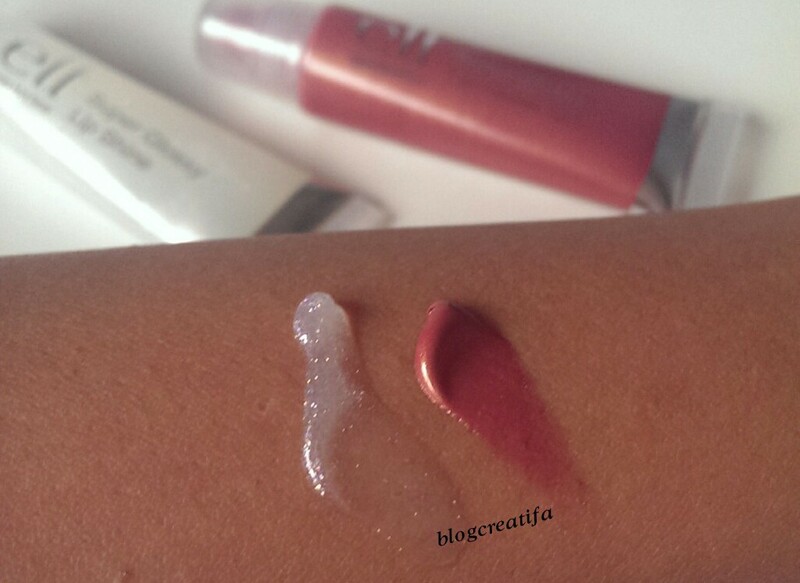 Shimmer Lip Gloss, blended – Left: Believe, and Right: Fantasize. These also come with doe-foot applicators, in sleek, plastic packaging. I’m not very good at describing fragrances, but these have a really light vanilla-toffee type scent. They are as sticky as you would expect a lip gloss to be, but are thick and moisturising, so don’t move around on the lips. I would wear these on their own, in particular Fantasize, for a natural wash of colour on my lips. 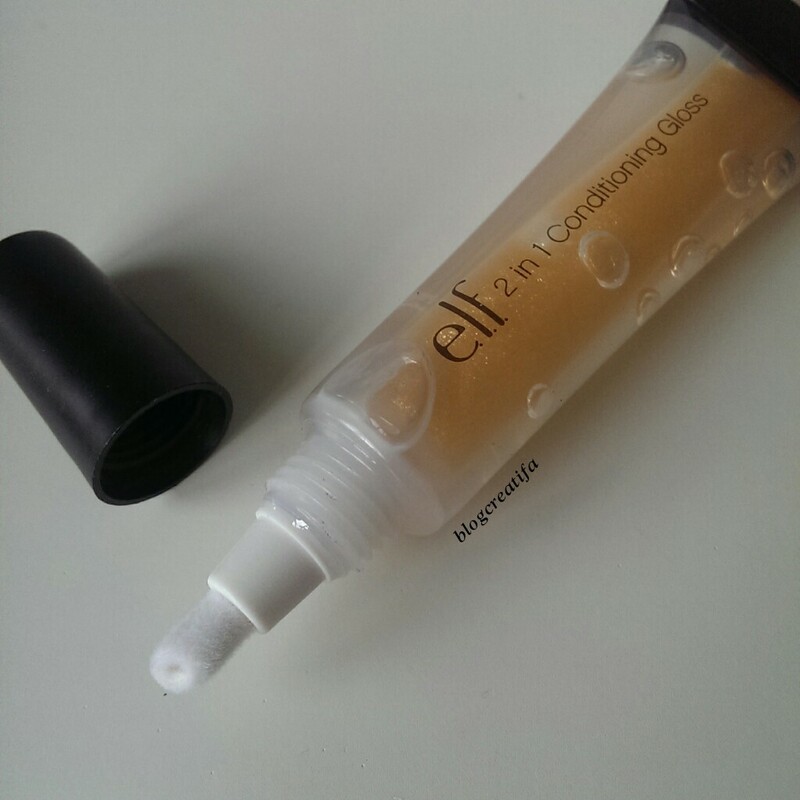 “Brilliant, never sticky long-lasting shine. Moisturizes and soothes on contact.” There is 0.35oz/10g of product in each tube, which retail at $2/£1.50, but I got them reduced at £0.50 each. 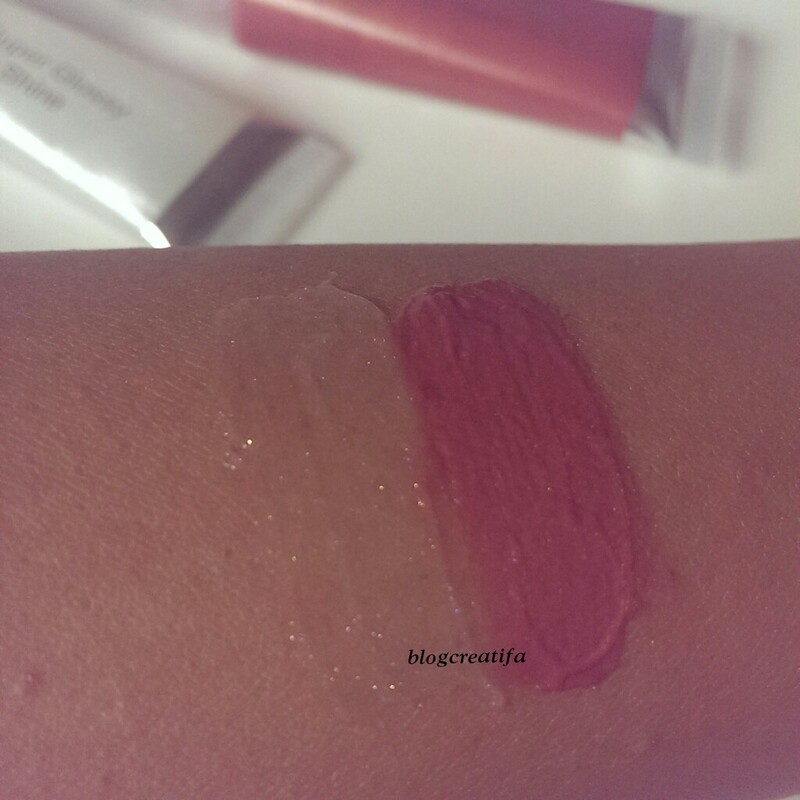 I got the shades Angel (2801) and Mauve Luxe (2802). 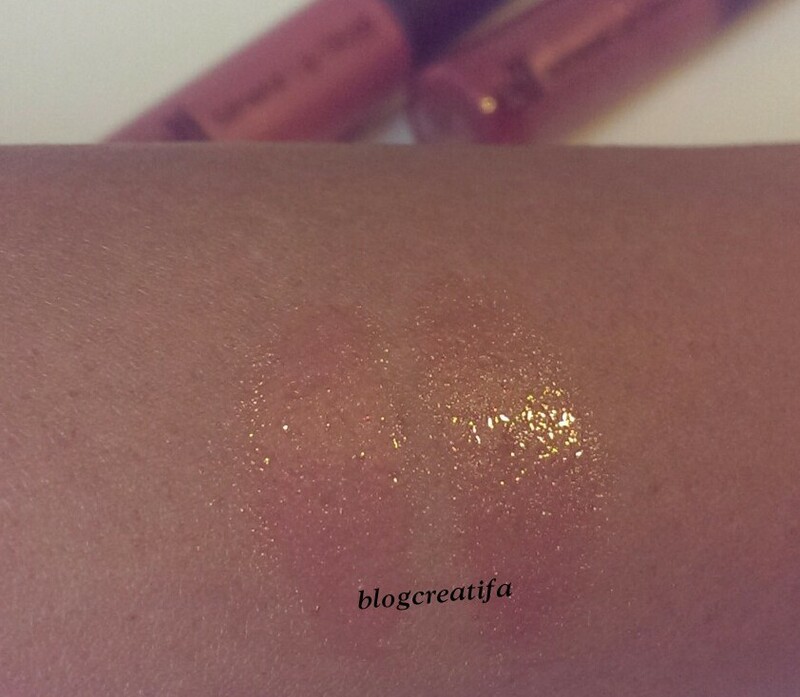 Super Glossy Lip Gloss – Left: Angel, and Right: Mauve Luxe. 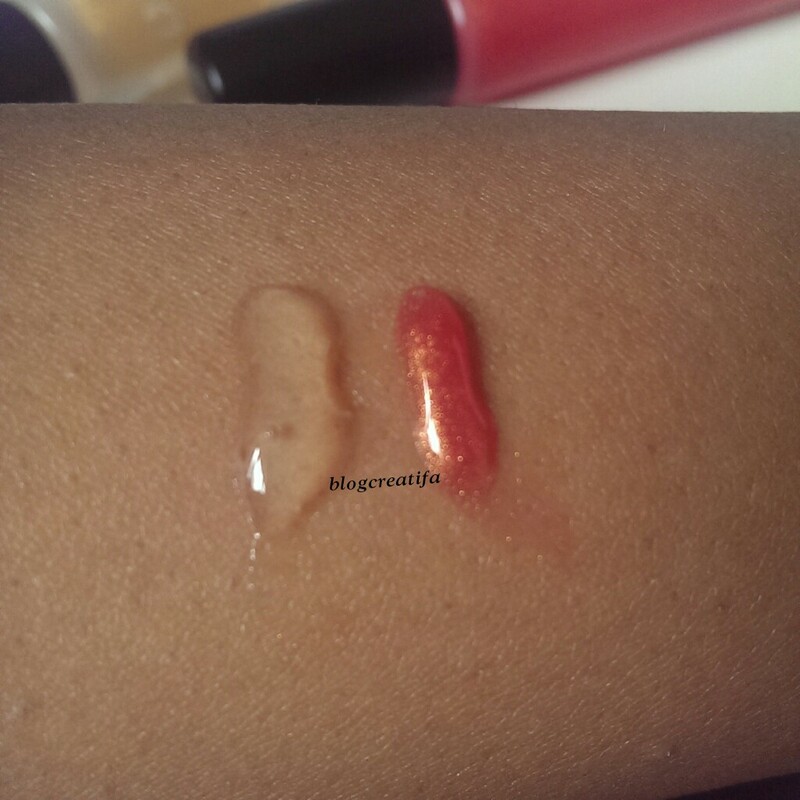 Angel is a clear thick gloss, with glitter (see swatches below). 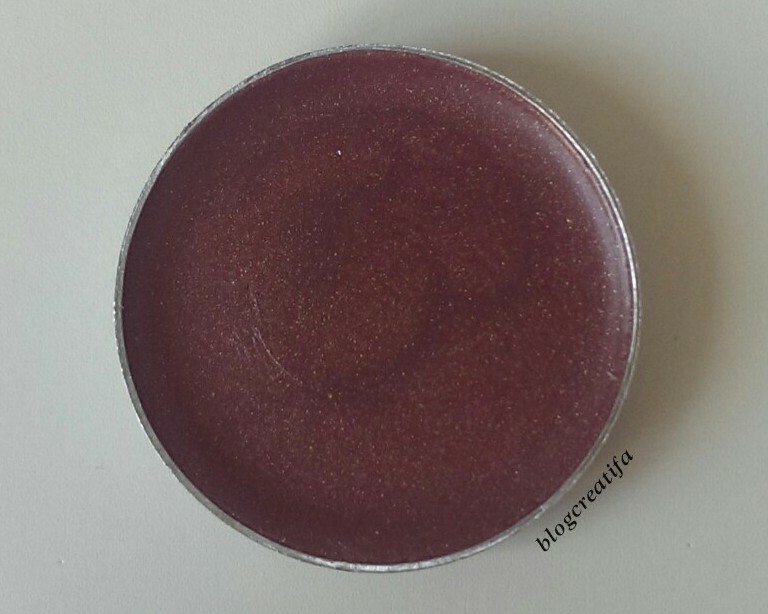 Mauve Luxe is brown-toned mauve, with tiny glitter particles to add shimmer. This shade has a SPF of 15, which “protects against sun and skin aging”. 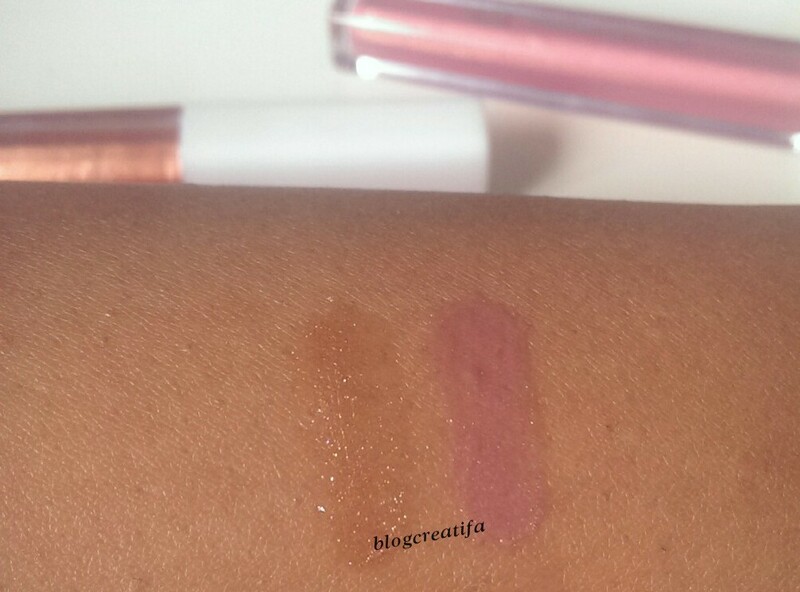 Super Glossy Lip Gloss, straight out of the tube – Left: Angel, and Right: Mauve Luxe. 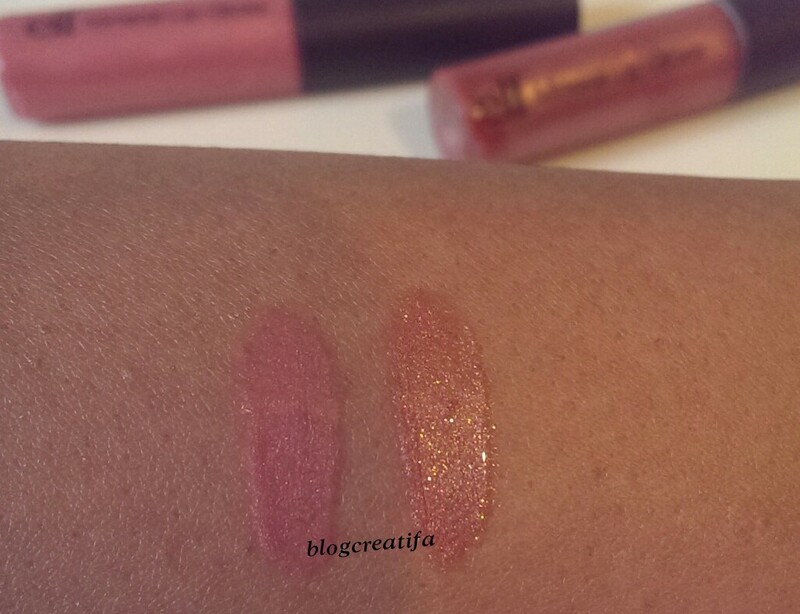 Super Glossy Lip Gloss, swiped – Left: Angel, and Right: Mauve Luxe. 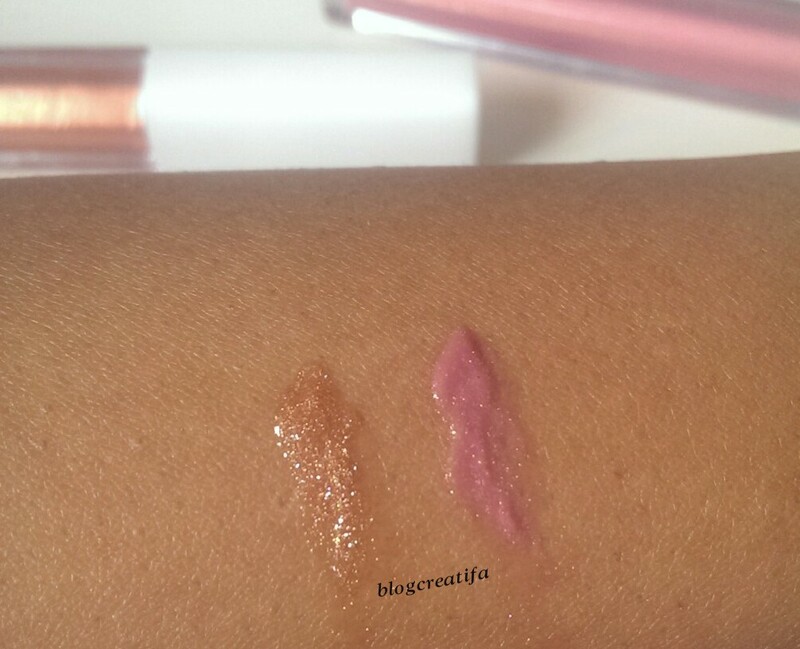 Super Glossy Lip Gloss, blended – Left: Angel, and Right: Mauve Luxe. 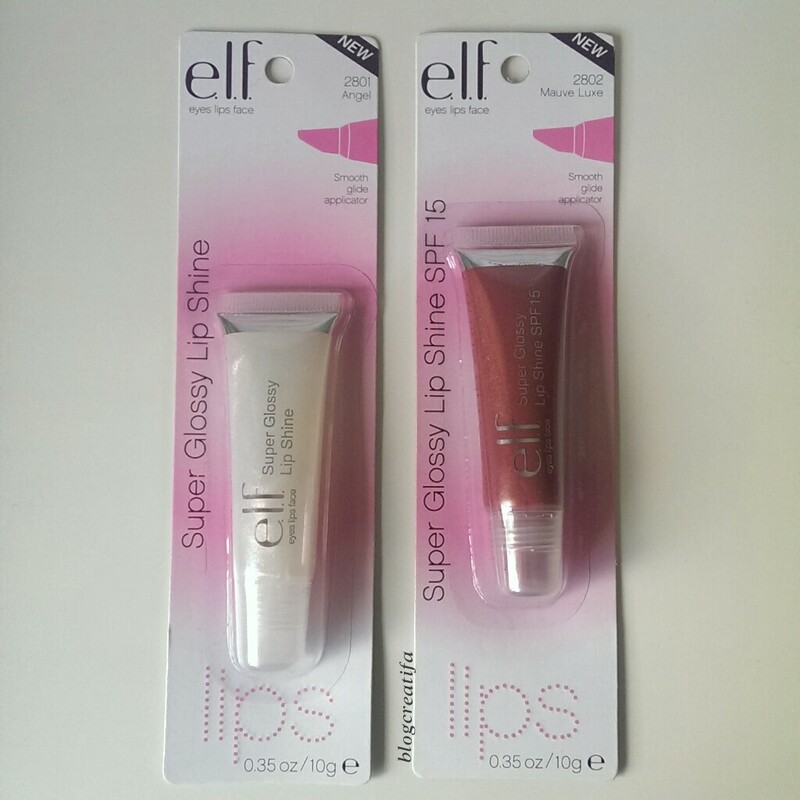 These glosses come in plastic, squeeze tubes, with slanted applicators. I like this, as you can control exactly how much product you use, and it is more hygienic. They smell quite strongly of Parma Violets, which is not a problem if you like Parma Violets – I, however, do not. They are very moisturising, and long-lasting, but the “never sticky” claim falls short yet again. 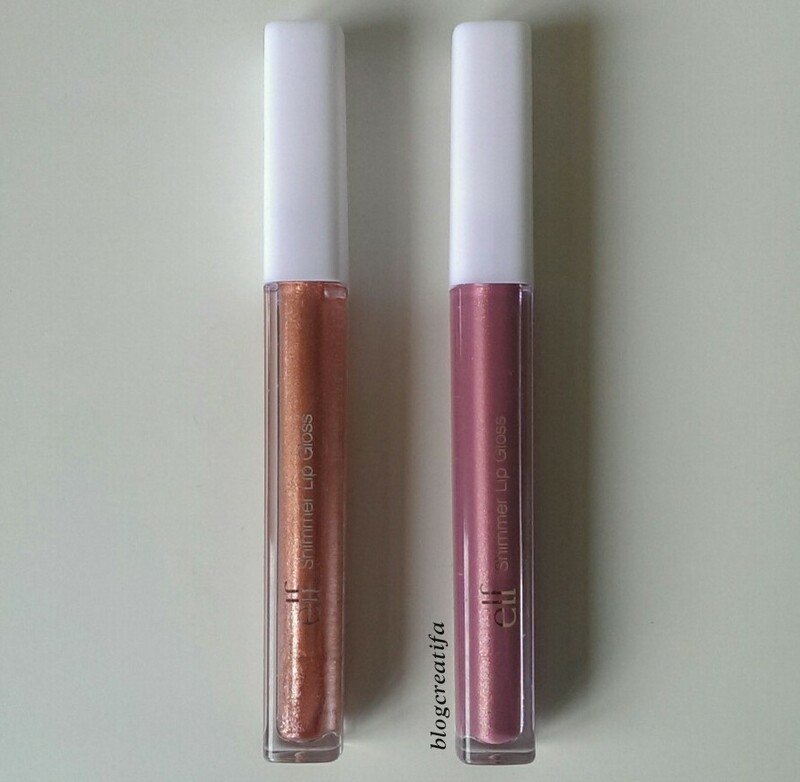 They are indeed super glossy, as their name suggests, and although I like the shade Mauve Luxe, I will probably give Angel to my eight year old niece! “Infused with Vitamins A and E, Aloe, and Shea Butter for rich hydration”. These come in squeeze tubes with 0.49oz/13.7g of product retailing at $3/£3.50, but I got them reduced at £0.50 each. I got the shades Golden (82402) and Fanatic (82406). 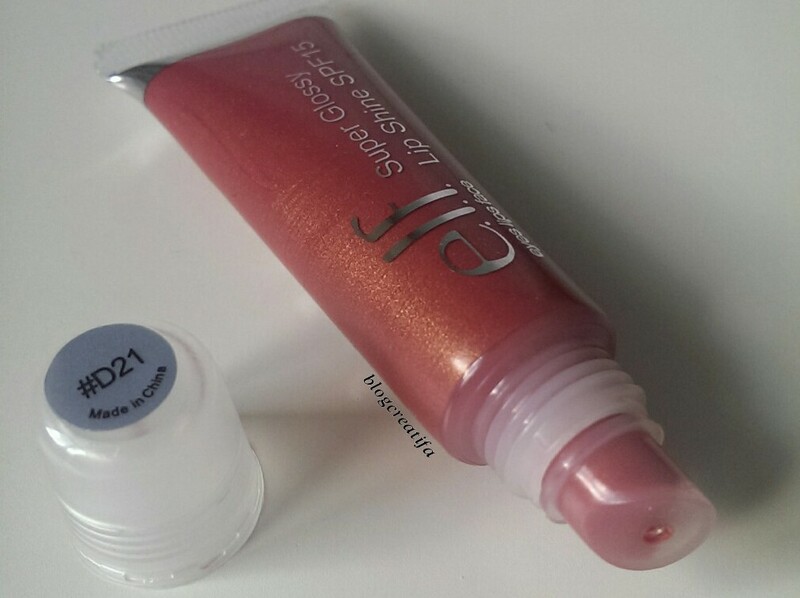 Studio 2 in 1 Conditioning Gloss – Left: Golden, and Right: Fanatic. Golden (82402) is a “shimmering lip colour in the inner tube and clear conditioning gloss in the outer tube for ultimate lip satisfaction”. I find this quite gimmicky, as only the clear gloss from the outer tube comes out when I squeeze it. I’d have to use up quite a lot of it before I can squeeze the inner tube with the golden gloss in it (which isn’t necessarily a bad thing because it looks really glittery!). 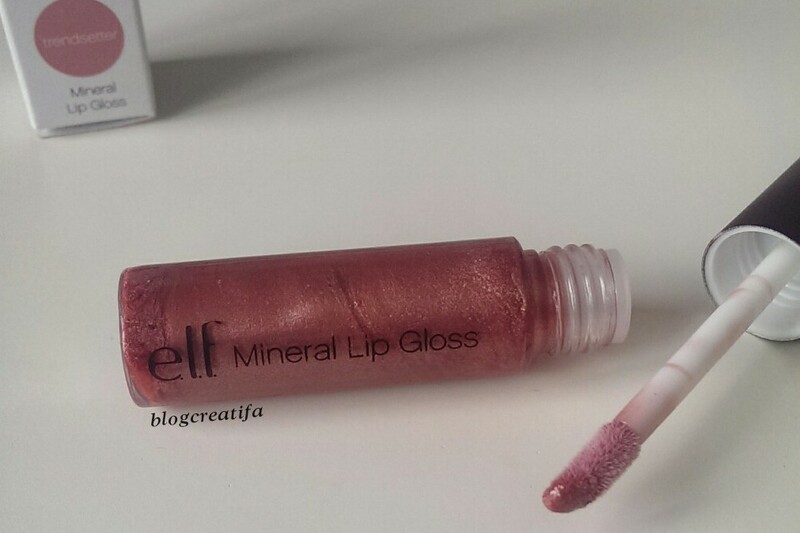 Do you have one of these glosses? How do you use it? I’d love to know! Fanatic (82406) is an orange-red colour, but is very sheer, so don’t be alarmed by the colour in the tube. This gloss doesn’t have the inner tube/outer tube thing, I’m guessing the ‘Conditioning Gloss’ is pre-mixed with the ‘Shimmering Lip Colour’. 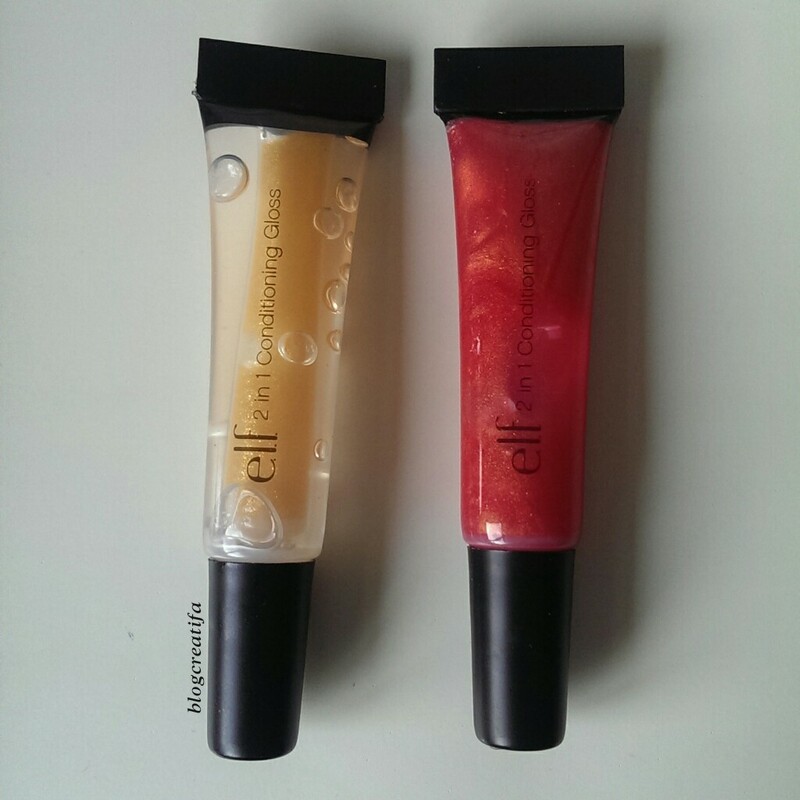 Studio 2 in 1 Conditioning Gloss, squeezed out of tube – Left: Golden, and Right: Fanatic. 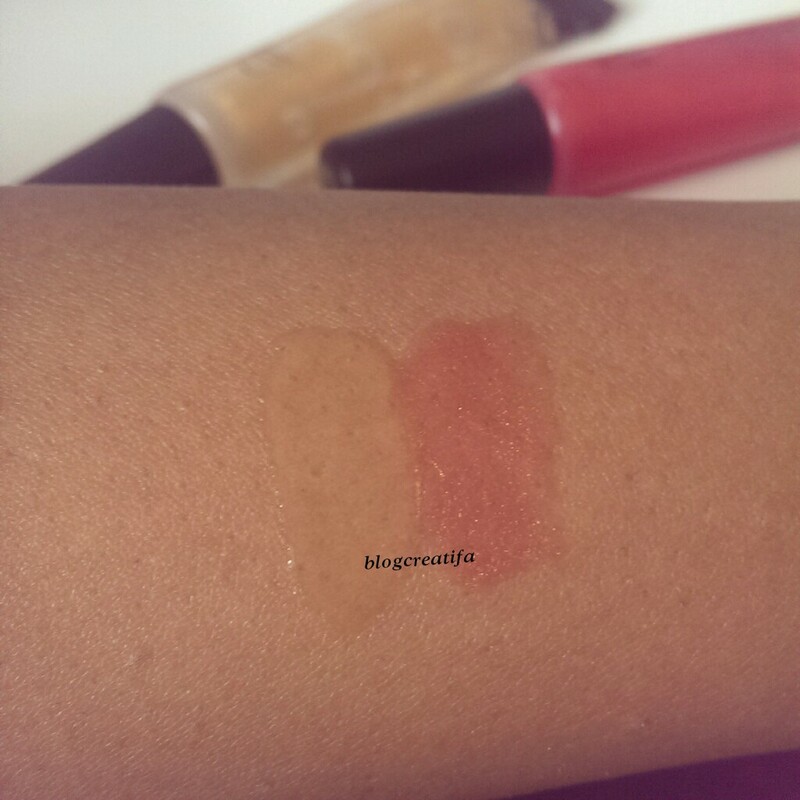 Studio 2 in 1 Conditioning Gloss, blended – Left: Golden, and Right: Fanatic. These glosses come with slanted, spongy, applicator tips. The claim is that the “formula nourishes and moisturizes lips on contact”, which is true but the gloss is very thick and sticky, and will not be everybody’s cup of tea. I expected more from the Studio line. I can’t comment on Golden, but Fanatic is not glittery. I would wear it on its own, or on top of a lipstick to add some shine. 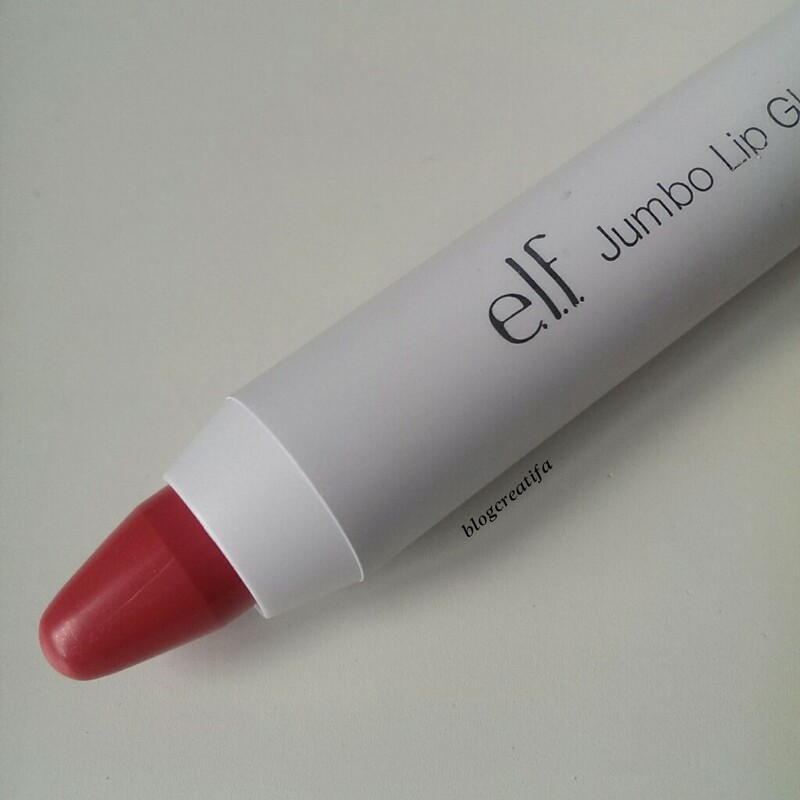 “Long-wearing tinted lip color glides on like a lipstick but looks like a gloss… With nourishing Jojoba, Soybean and Vitamin E ingredients it conditions and moisturizes the lips… The twist up component is easy to use for on-the-go comfort”. 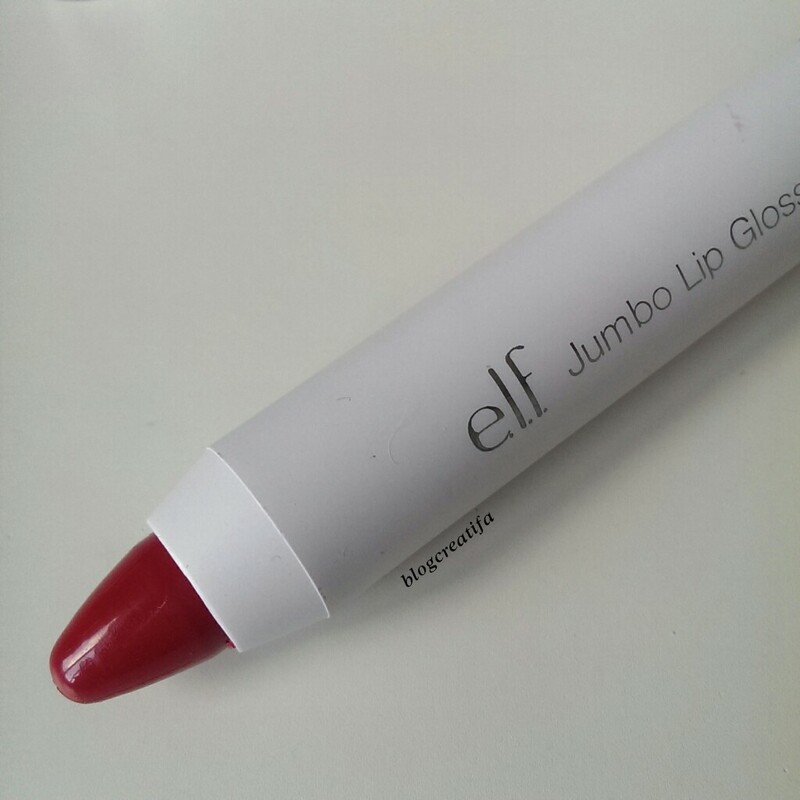 Each Jumbo Lip Gloss Stick comes with 0.099oz/2.8g of product, and retails at $2/£2.50. I got the shades Coco Loco (22143), Pink Umbrellas (22144), Sangria Starters (22146) and Movie Star (22148), which were all reduced to £1.18, except Sangria Starters, which was £0.89. Jumbo Lip Gloss Sticks – Left to Right: Coco Loco, Pink Umbrellas, Sangria Starters and Movie Star. Coco Loco (22143) is a light brown colour. Pink Umbrellas (22144) is a light pink. Sangria Starters (22146) is a dark, berry red. Movie Star (22148) is a bright ‘hollywood’ red. Jumbo Lip Gloss Sticks, one swipe – Left to Right: Coco Loco, Pink Umbrellas, Sangria Starters and Movie Star. 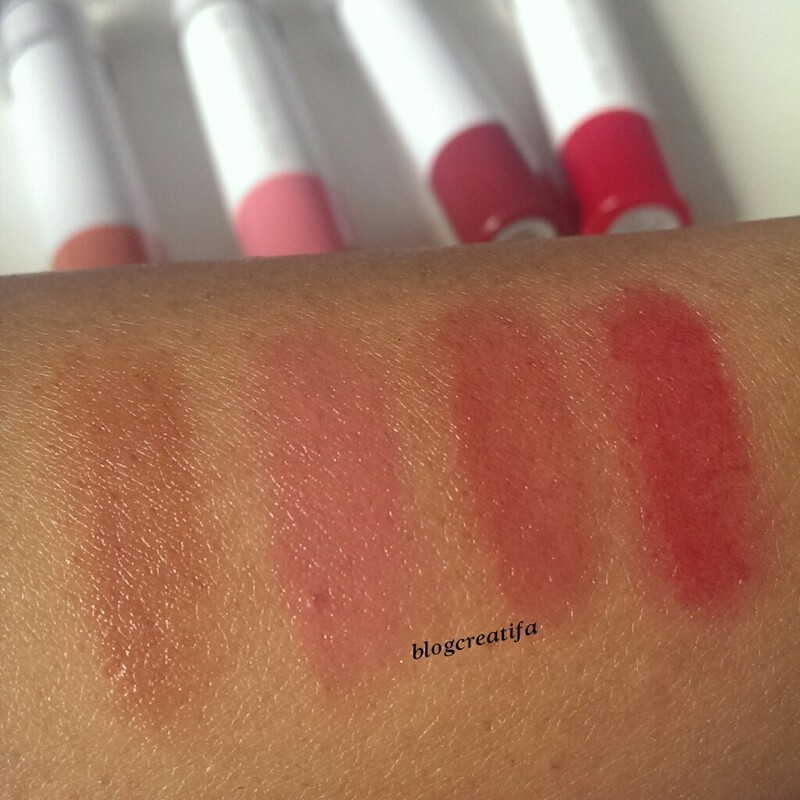 Jumbo Lip Gloss Sticks, swatched heavily to show colour – Left to Right: Coco Loco, Pink Umbrellas, Sangria Starters and Movie Star. 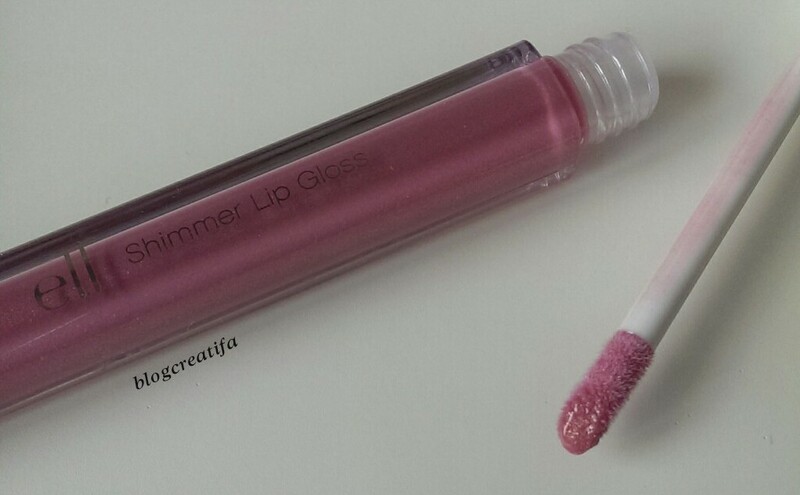 I like the twist-up feature of these gloss sticks, it makes them very easy to apply. They smell like wax crayons, but the smell does not last. The colour applies as a tint, to give your lips that ‘just bitten’ look, which I like. The Gloss Sticks are long-wearing and moisturising. I like that they give the shine of a lip gloss, without being sticky. The colour can be intensified if desired. These are my favourites of all the glosses I got. “Relieves and conditions lips with nourishing Vitamins A & E… Softens lips to prevent and temporarily protect against chapped, cracked or chafed lips”. This Balm comes in a jar, with 0.26oz/7.5g of product, and retails at $3/£3.50. 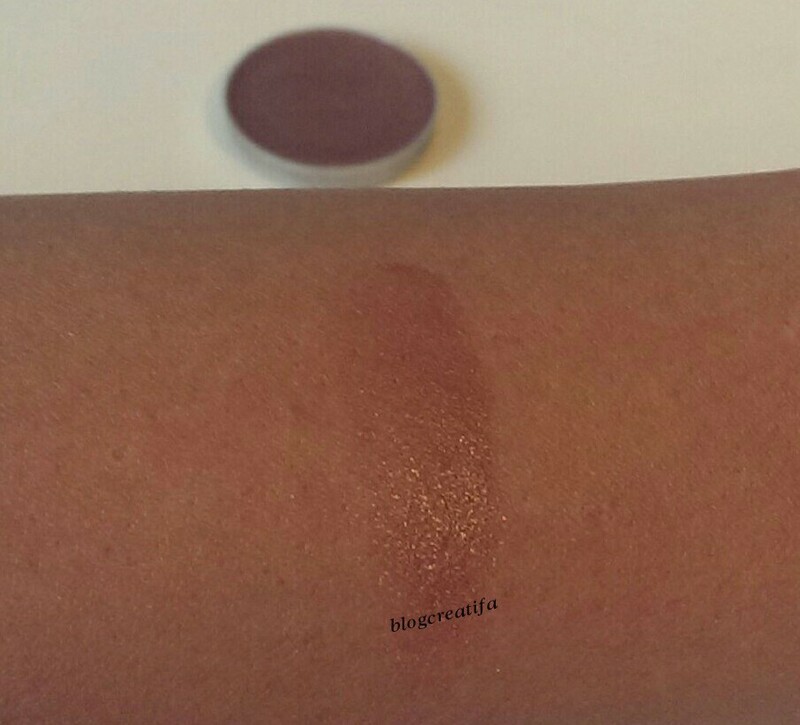 I got the shade Bombshell Brown (82445), reduced to £1.98. Bombshell Brown (82445) is indeed a perfect brown colour. 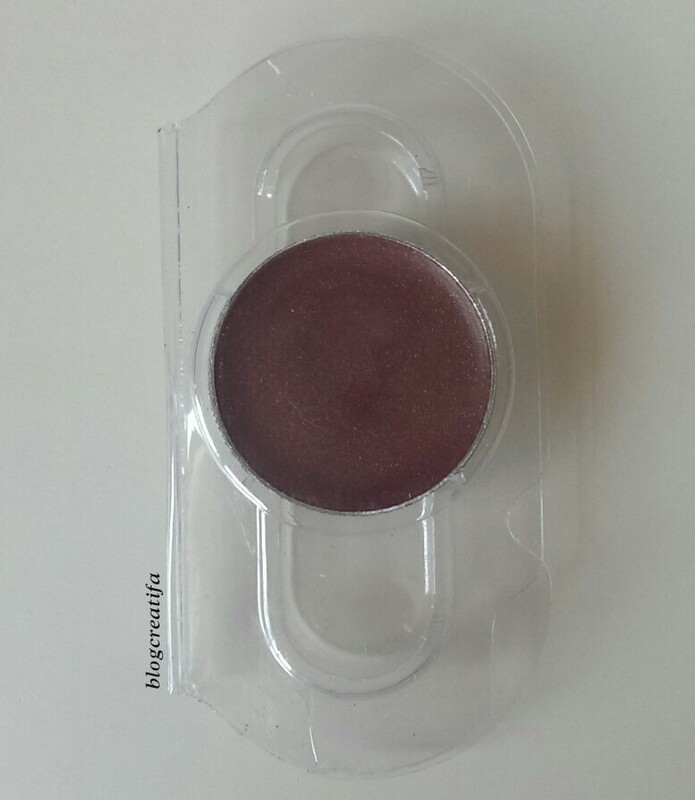 This looks and feels exactly like what it is – a tinted lip balm. It is very moisturising, without being overly sticky or thick. 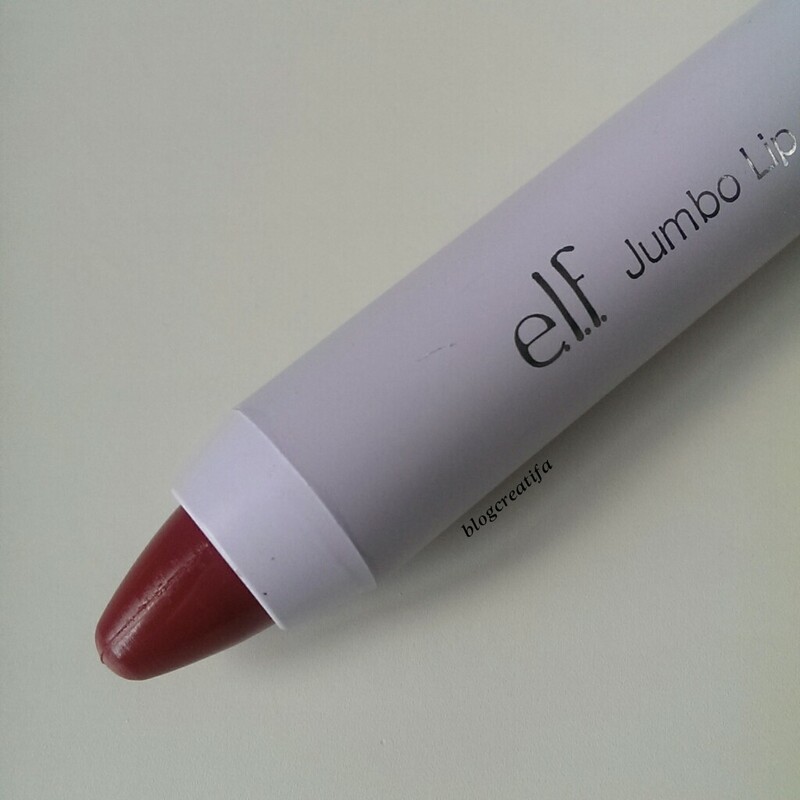 It adds a very sheer wash of colour to the lips, with a natural looking, healthy shine. It smells like cocoa butter, but the smell does not last. 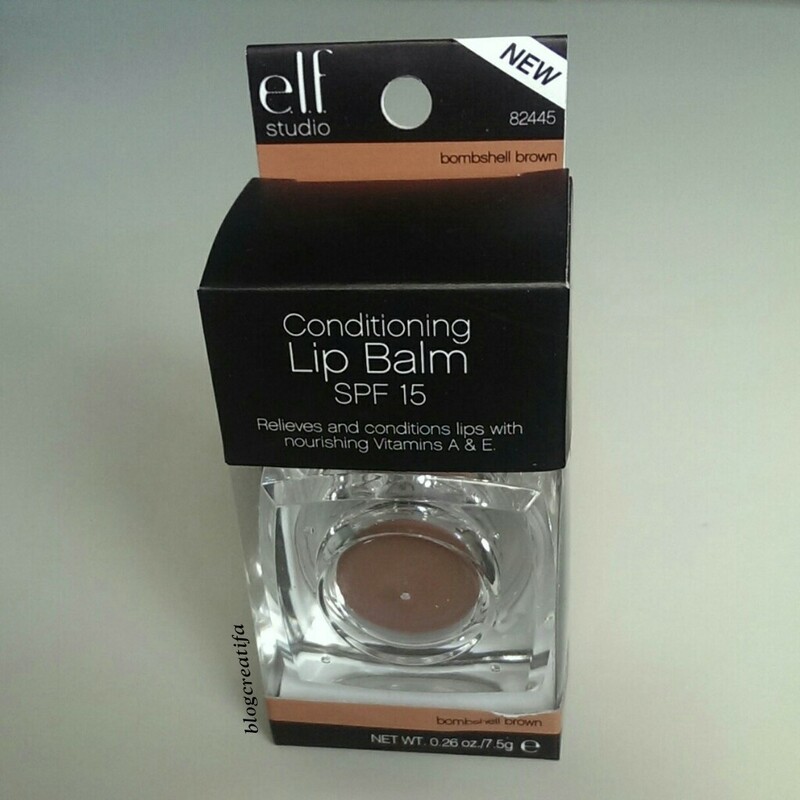 I will definitely be using this, it is perfect for my dry lips, and the SPF is great for the upcoming summer sun. The only negative is the packaging – it is lightweight but unnecessarily big, so means I can’t easily carry it around in my smaller clutch bags. Overall, I was really impressed with the Jumbo Lip Gloss Sticks and the Studio Conditioning Lip Balm. I’m not a big fan of lip glosses but for the price, all the lip glosses fulfil their purpose. I was planning on doing lip swatches of all the products in this post, but they all look the same on my dark, pigmented lips. 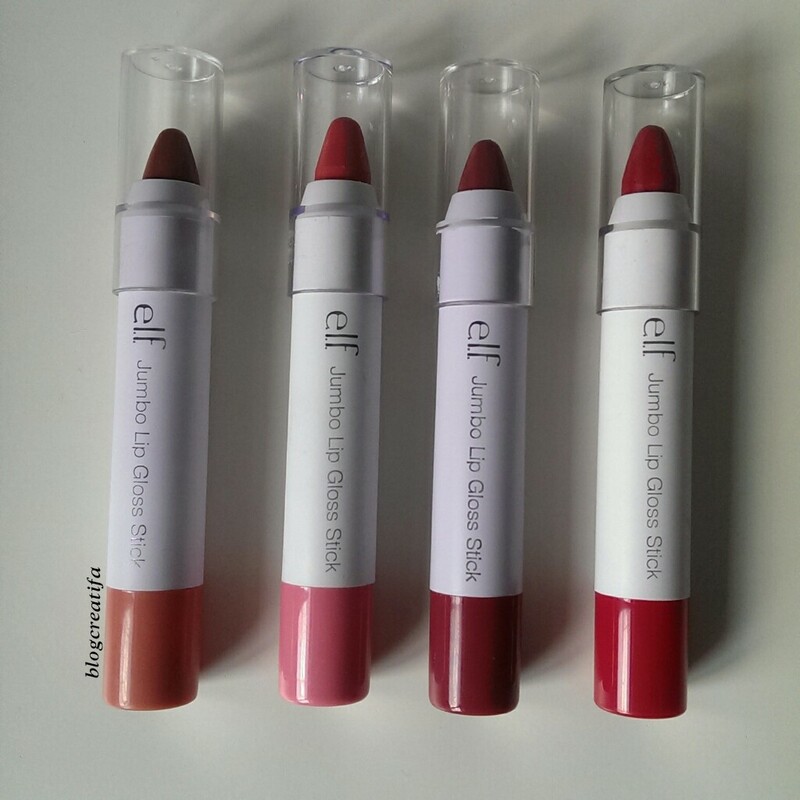 Have you tried any of the products mentioned, or any other lip products from E.L.F.? I would love to hear your thoughts. Disclaimer: I am in no way affiliated with any of the companies mentioned in this post, and I purchased all the products with my own money. All opinions and photographs are also my own. Love how detailed the photos are! 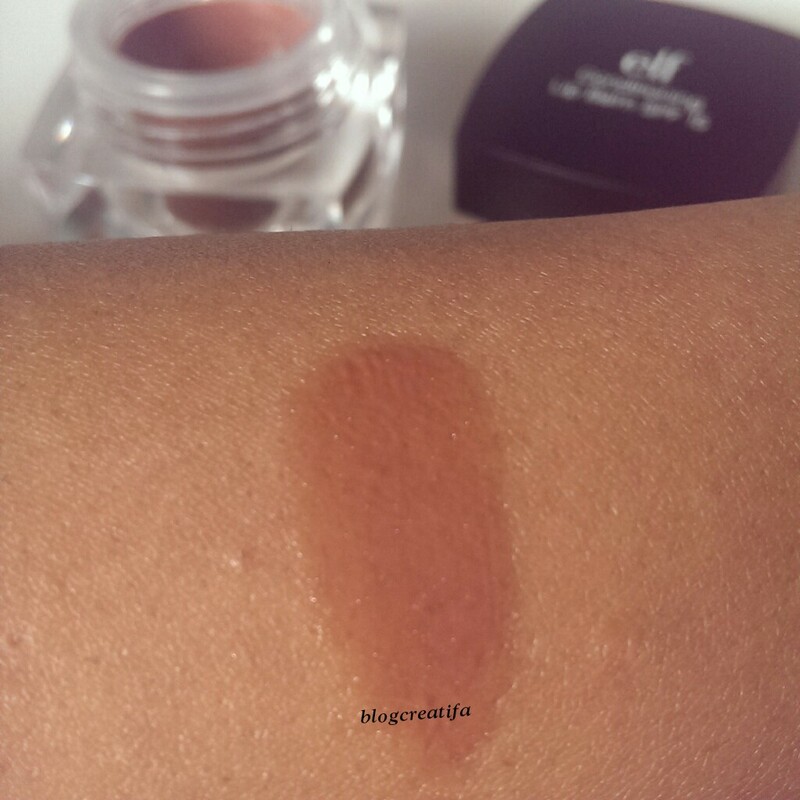 Secondly, wow, what a mega post – fantastic swatches and product photos. Thanks for doing all that work! 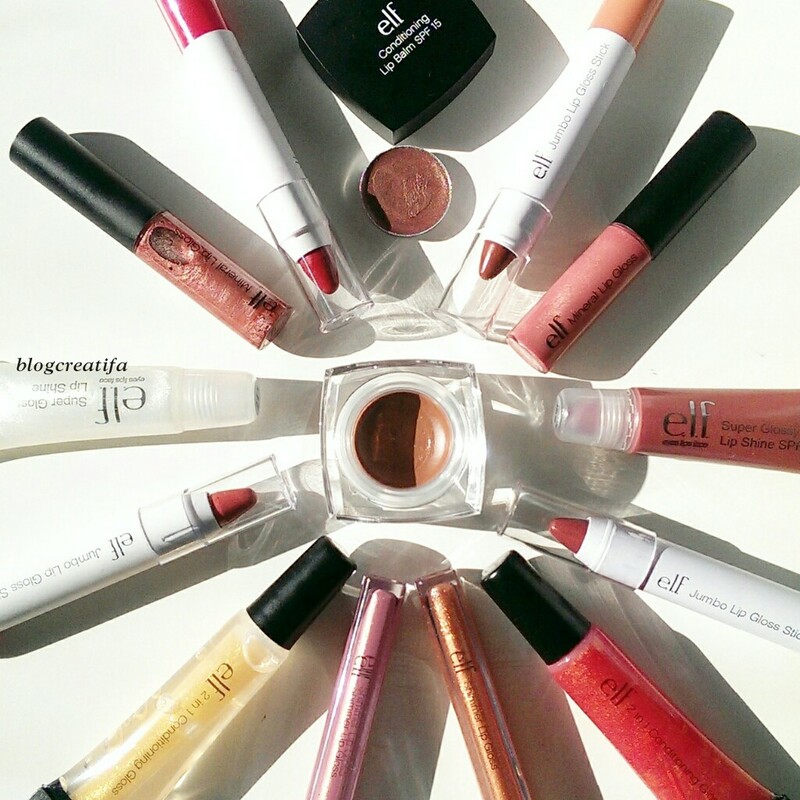 Those jumbo lip gloss sticks DO look amazing – out of all them, I think I’d like those the most too! 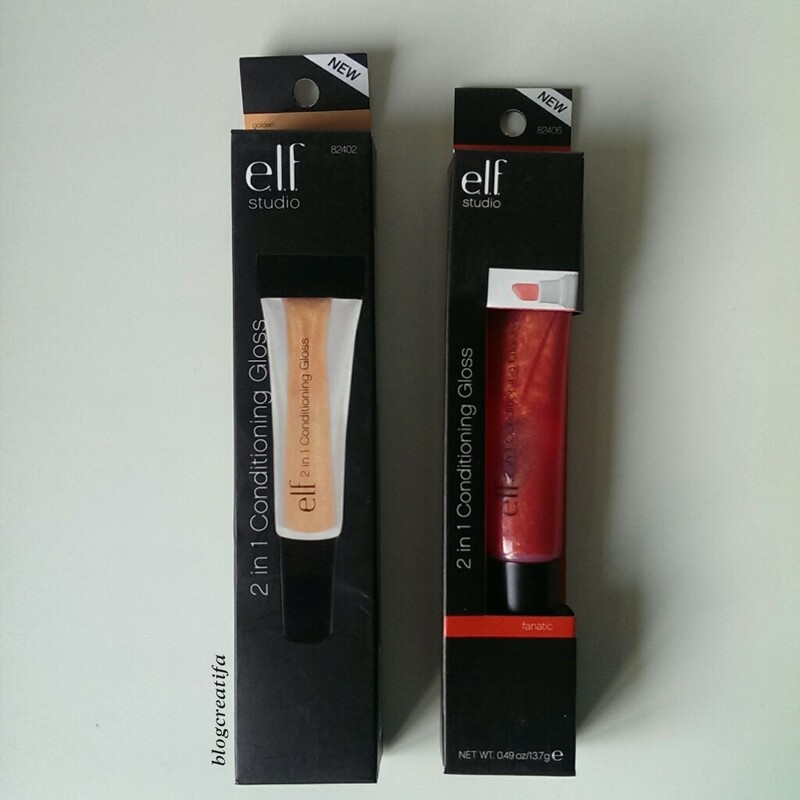 A question – do you know if these lip products are made in the US or in China? 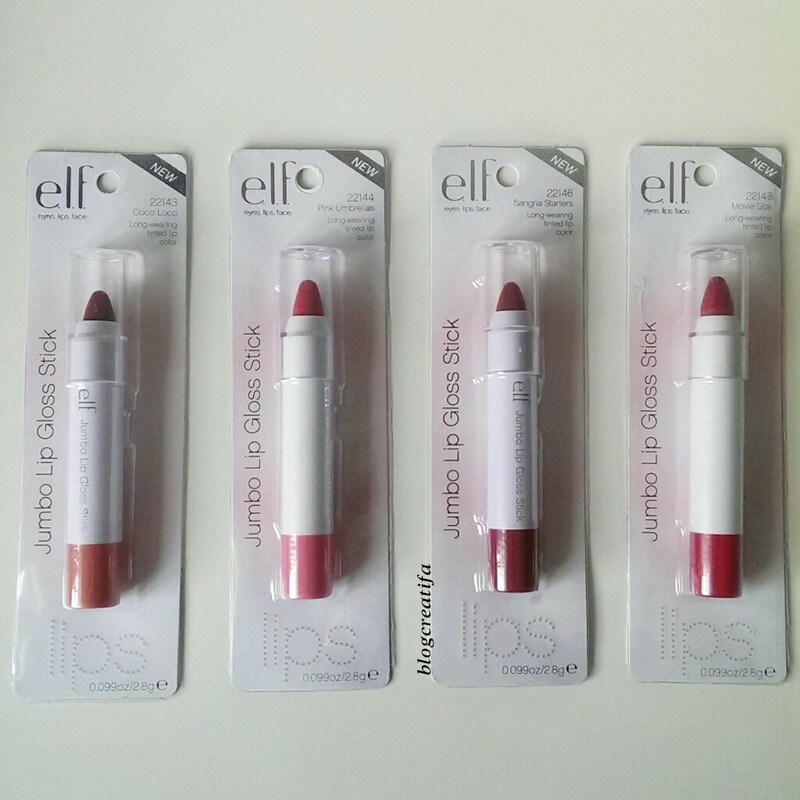 I just have a thing about lip products made in China… was curious about these. I can only order them online. re: made in China – I don’t mean to be a fear monger, but it’s just something I try to avoid, especially for lip and face liquid type of products. It’s a personal preference! Awesome post! 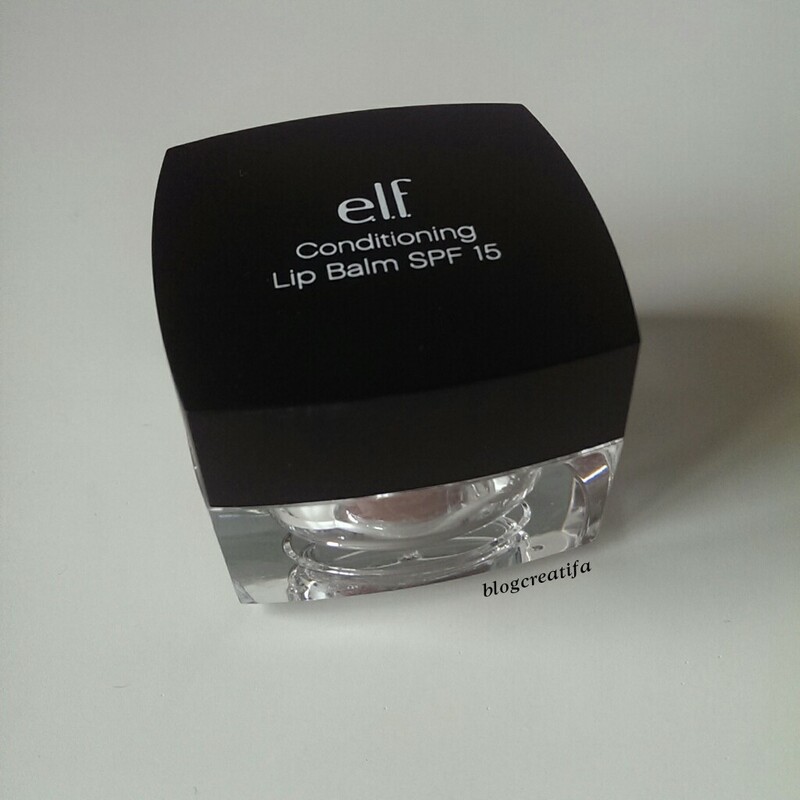 I love so many of the ELF products, and i’ve seen a bunch here that I haven’t tried yet. Looking forward to trying them now! 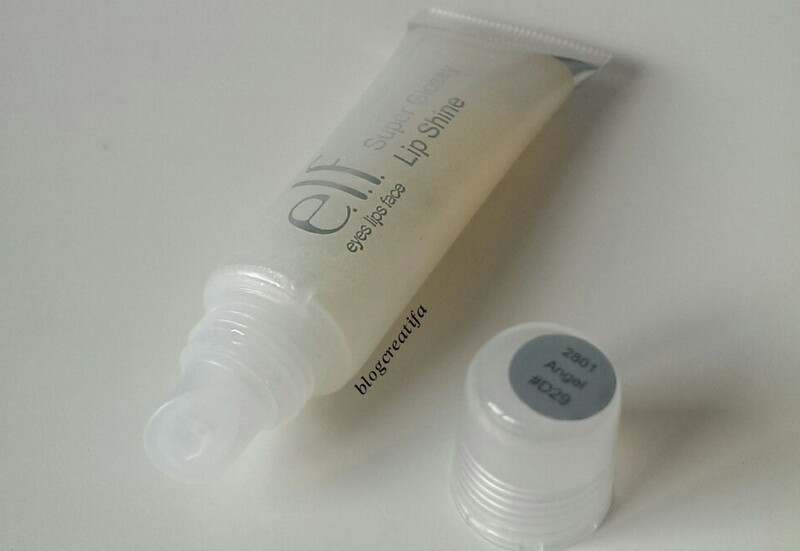 Have you tried the studio lip exfoliator? 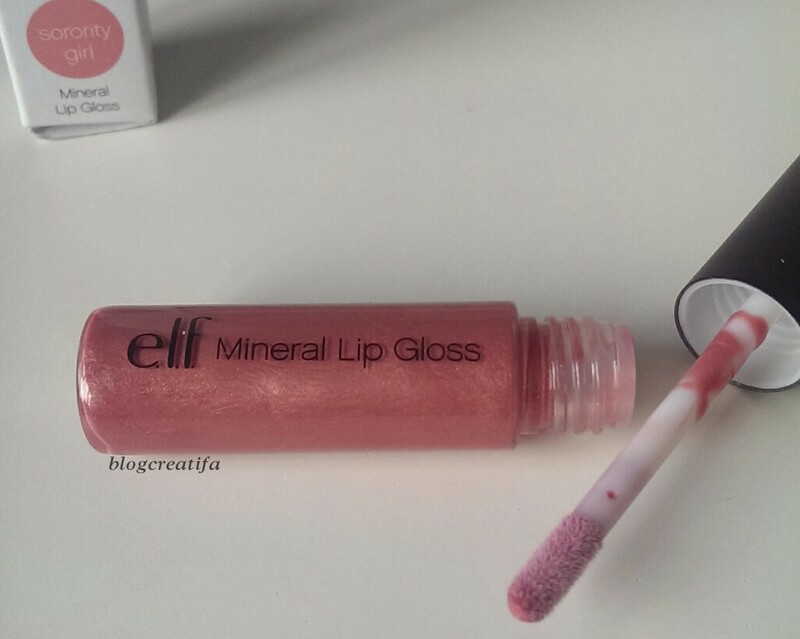 It’s definitely one of my favorite lip products from elf. xo!